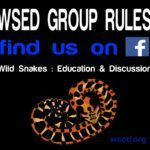 The following rules apply to our facebook group, Wild Snakes : Education & Discussion. The reason our group is so successful is because we DO enforce these rules. All of the rules are enforced with a MUTE at staff discretion. That should be taken as a warning. Repeat offenses will result in a BAN. Contacting staff with an attitude results in a BAN. 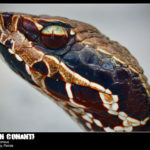 CAPTIVE SNAKES – Captive snake posts / photos / videos will be deleted. Once in a GREAT WHILE, one of the staff will post a captive snake to illustrate a point relating to wild snakes. This is not a green light for everyone to post their pet snake. Repeat offenders face removal. PROFANITY – All profanity will be deleted upon sight and repeat offenders will face removal. To be clear, this also includes abbreviations and symbols used to suggest profanity @#$%$#@*. There is absolutely no reason to suggest profanity in the group to express yourself. TROLLING, OFF-TOPIC, and SPAM – rude, antagonism, harassment, vulgar, sexual, off-topic, religious debate, or any other negative behavior will be dealt with by the staff as they see fit. You may be MUTED or BANNED according to staff discretion. BEHAVE, STAY ON TOPIC and you won’t have an issue. EXCESSIVE JOKING is considered trolling and distracts from the education process. BLOCKING a staff member gets you removed from the group. Posts that have nothing to do with wild snakes (spam) will be deleted and you will be swiftly banned from the group. VENOMOUS – All snakebite posts will be handled by staff, usually Dr. Spencer Greene, and closed and redirected to National Snakebite Support. Please don’t give medical advice or you face being banned. Medical advice is only to be given by Dr. Greene, Joe Pittman, Ben Abo, and Nick Brandehoff, all of which are toxicology professionals. Photos / videos of venomous snakes (Elapidae, Viperidae) and medically significant colubrids being handled with bare hands are not allowed (this includes tailing). TUBING venomous snakes should only be done by professionals and if presented as such, those photos are OK. If you are tubing just for fun your photos will be deleted. If you do post these you will be MUTED for 24 hours without question and repeat offense is a permanent ban. When discussing coralsnakes and their mimics please do not repeat “THE RHYME” in the discussion. It’s worn out, cliched, and distracts from real education. It’s becoming a real problem so please don’t do it. 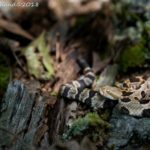 DOGS and CATS – The purpose of WSED is to educate on and discuss wild snakes. 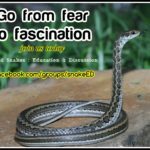 How your pet behaves around snakes is off-topic and beyond the scope of the group. Dog behavior is a separate subject and you should be seeking out a dog behavior group. The same applies for cats, horses, livestock, etc. Please seek a group that specializes in those animals. 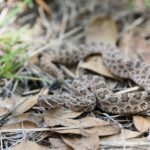 If you suspect your dog was bitten by a venomous snake, there is nothing we can do for you in the group. 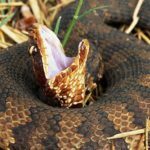 Please join National Veterinary Snakebite Support where they have members who are veterinarians experienced with venomous bites. Posting in WSED puts you at risk of getting dangerous medical advice from unqualified people. The subject of feral/outdoor cats is also off-topic and attracts drama and ultimately a lot of angry people on both sides of the argument and a lot of discussion about cats and not snakes. We do not discuss or debate this issue at all in WSED. All cat-related comments and posts will be deleted. 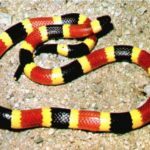 “RESCUED” SNAKES – The subject of injured snakes (and any wildlife) being taken into captivity, for whatever reason, is controversial and tends to attracts strong opinion, drama, and off-topic discussion about captivity. Due to safety and legal reasons, we (the WSED staff) will not recommend taking wild snakes into captivity for any reason. We believe in letting “nature take its course”. Please leave wild animals in the wild. Posts of this nature will be closed. We encourage you to contact your local nature center and/or wildlife rehabilitation center if you believe a snake is injured or otherwise in danger. 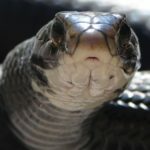 ANTI-SNAKE, DEAD SNAKES, HARASSMENT – Any post or comment advocating or recommending the KILLING or INJURING of snakes will result in you being permanently banned from the group. Recommending GLUE TRAPS, POISON such as mothballs, or extermination services will result in a 24 MUTE. Please think twice before posting dead snake photos. Can your question be asked without the graphic images? In most cases the answer is “yes.” Here are some suggestions: ask your question or tell your story without the photos. If you feel you must post the photos, post them in the comments. As an alternative, message a staff member. We are happy to answer your questions. If you are posting only to say “look at this dead snake,” don’t. Please do not post photos/video of snakes being harassed or roughly handled. for example, it is (unfortunately) very popular for people to purposely stress out hognose snakes into “performing” so they can get photos/video. FLUFF – memes, hokey news stories, viral junk, videos, GIFs, and anything else the staff deems as fluff and not educational will be dealt with by the staff as they see fit. This includes deleting or closing comments. PHOTO / VIDEO POLICY – All photos / video must include at least a common name. If a staff member asks you to include species name please do so. If you fail to do so in a reasonable amount of time your post will be deleted. If you are seeking an identification you need to make that clear. Random photos with no information included have no place in an education-based group. ADVERTISING – All ads, links to websites, events, gofundme, crowd sourcing, products, or anything that we deem to be just an advertisement with no educational value will be deleted without warning. If you are only here to post a link to your page, group, youtube channel, etc. your posts will be deleted and, if you continue, you will be banned. However, if you are active in the group, answer questions from members, and provide education we consider that a fair trade-off. On occasion we allow an advertisement for an education event. Please contact Mike Van Valen before posting in the group. SNAKE ID – JOKING about snake identification, i.e. calling a harmless snake a cobra, will get you MUTED. Please refrain from guessing on identification requests. This slows down the education process and members shouldn’t have to scroll through endless guesses and jokes to get an answer. When you are requesting an identification please provide as much detail as possible, with LOCATION being most important. You need to make it clear you are seeking an identification. If you post a random photo with no question or information it will likely be deleted. Guessing is allowed when a QUIZ is posted. Quizzes are mostly posted by staff members, but if you want to post a quiz please make it clear that it is a quiz, and please provide an answer within a reasonable amount of time. Do not leave a quiz unanswered. 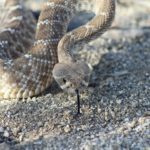 LOCATION DETAILS and COLLECTION – Do not ask for, or post, specific locations for snakes, common or otherwise. For example, specific roads, trails, GPS coordinates, etc. is too much detail. State and National parks and forests are okay under most circumstances. We do not discuss nor promote the collection of snakes for captivity in any way regardless of legality. Posts of this nature will be deleted and you will be muted. Continue to break this rule and you will be banned. This includes asking members for locations through messenger. CLOSING/DELETING POSTS – We reserve the right to close and/or delete comments/posts that we deem necessary in order to avoid misinformation, rule-breaking, and interference with the education process. This includes what we consider “Dead Horse” topics, which are topics that have been covered many times over in the group. Dead Horse topics will be closed and you will be redirected to an existing discussion. We also encourage you to read our FAQ which is found in the announcement section of the group. We do not like closing discussions; Our goal is to keep as many discussions open as possible. This is accomplished when everyone follows the rules. COMPLAINTS – Questions and concerns about the group and how we run it are to be addressed respectfully in PRIVATE by contacting a staff member through messenger. All complaints / questions posted on the public group will result in your post being closed. If you contact a staff member with an attitude you will be BANNED. If you post a profanity-laced rant, you will be BANNED. HELP WSED – The staff works hard but we also depend on members to alert us to problems. This is accomplished by reporting posts, tagging a staff member, or contacting one of us through messenger. With 400 active posts in an average week it is virtually impossible for us to see everything. Complaining is easy, but it is just as easy for members to be proactive and help us keep the group clean and family-friendly. Thank you!